Do you have stuff that doesn’t really have a place in your lake house or maybe it has outgrown its stay? 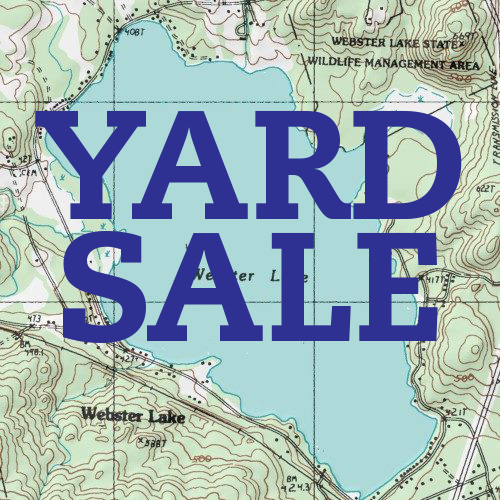 The Webster Lake Yard Sale is the perfect place to donate those items! Every July, the Webster Lake Association holds a yard sale for its major fundraiser of the year. Rowell Septic has generously donated land they own on Route 11 for the location for this event. This location is perfect for a Saturday in July yard sale! We would love to have your donations.